Found 23 file extension associations related to Adobe Photoshop Elements and 10 file formats developed specifically for use with Adobe Photoshop Elements. 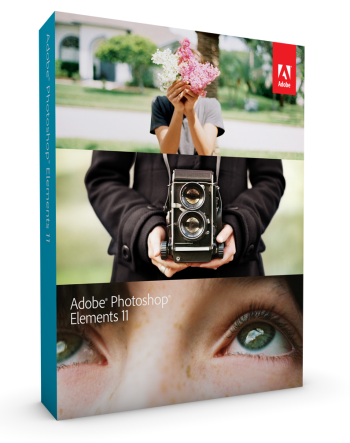 Adobe Photoshop Elements is one of the best selling consumer photo editing software that helps users to edit pictures with powerful, easy-to-use options and share them via print, the web, Facebook, and more. Live in the moment knowing you can easily turn your everyday snapshots into sensational photos. Adobe Photoshop Elements software combines power and simplicity so you can make ordinary photos extraordinary; tell engaging stories in beautiful, personalized creations for print and the web; and easily find and view all your photos. Now you can easily clean your scene of unwanted elements; simultaneously select an area and apply incredible effects; and whiten teeth with a brushstroke. The current version is 12 and it is available either as standalone or as part of Adobe Creative Cloud. Best photo management software - Tips how to pick the right software to manage your digital photo collection. If you need more information please contact the developers of Adobe Photoshop Elements (Adobe Systems Incorporated), or check out their product website.